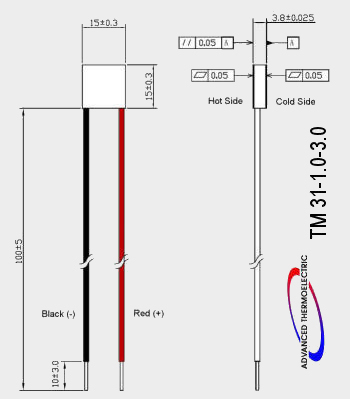 Ideal for stabilizing the temperature, and wavelength, of a detector or sensor at a temperature near ambient. 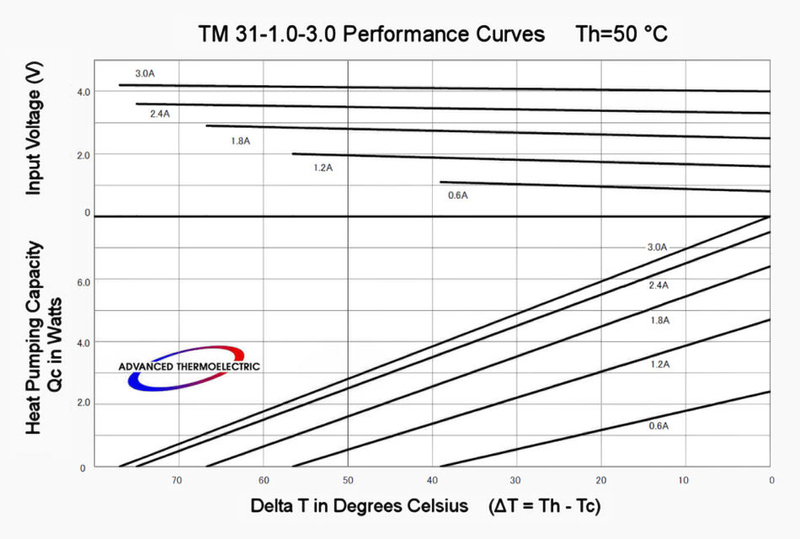 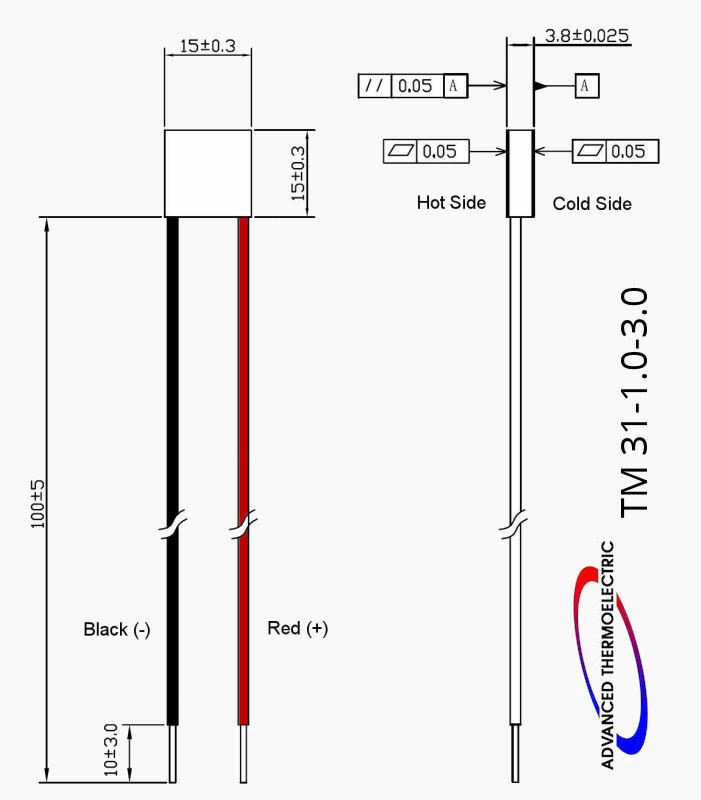 TM 31-1.0-3.0 may be used for cooling, heating (up to 200 °C) and for thermal stabilization. 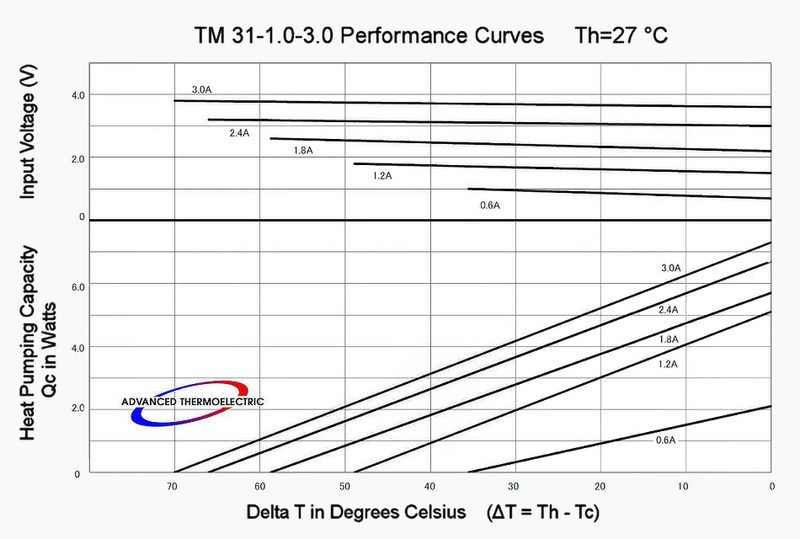 Primarily used in a electro-optic and spot cooling applications. 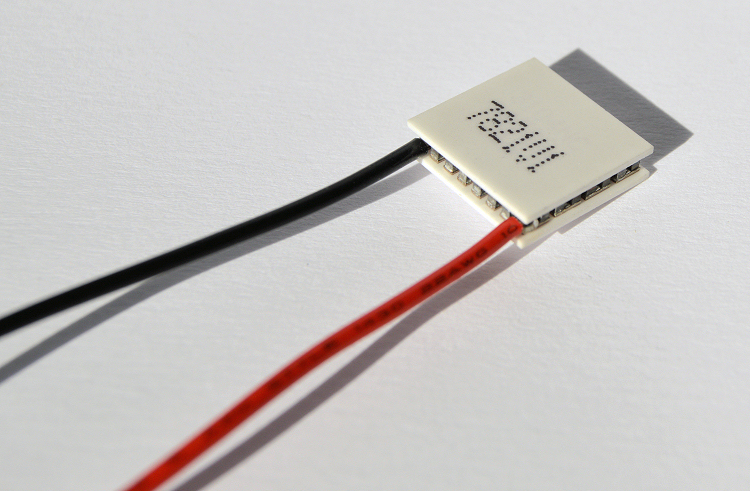 Typically operated with a 3.3V DC power source and may be used in hand-held, battery operated and other low-power devices. 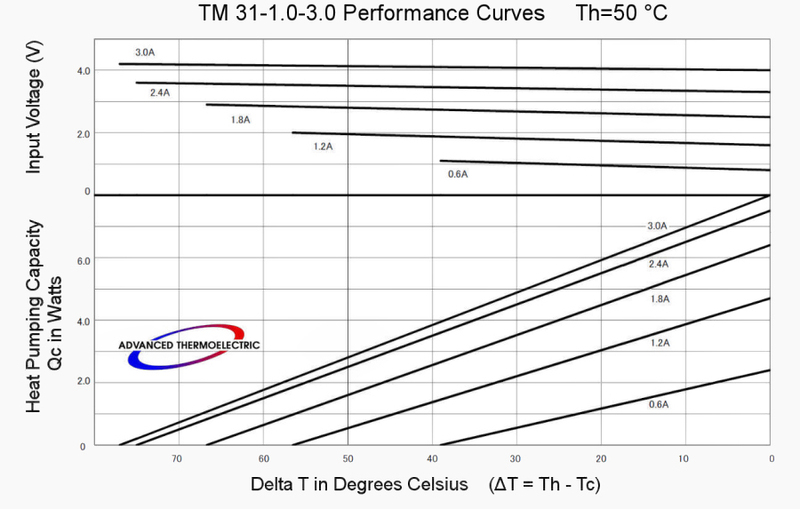 A version for thermal cycling is available and recommended for wingtip applications.